We are proud of our cattery accommodation. 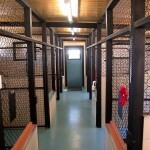 Rooms are large, airy, high mezzanines, tunnels, climbing cat poles and boxes, windows, panel heating, cat pheromones in times of storms, soft bedding and blankets. 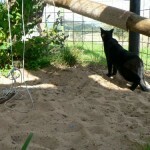 The garden and play area have been specifically designed for the safety and security of your pet. An area which is fully meshed, has logs, cat mobiles and tree ferns to play under, climb or relax in a director’s chair in the sun. The play areas even have sand in which to dig. Fresh food and water are provided daily along with lots of cuddles and chats. Cats are provided with quality bedding however if you wish to provide your own, please discuss this with us. 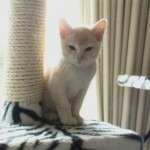 The cats can have 4 poster brass beds, cubbies or boxes to hide in and nice high places where they can look out the window and survey the trees and birds. Each room has its own cat grass plant for your cat to chew on. We provide everything your cat needs in our 5 star accommodation cattery.